Everybody dance! 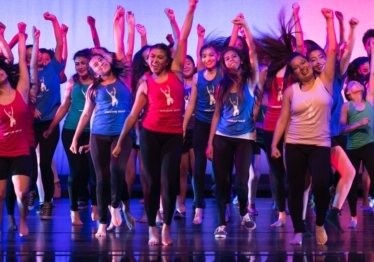 is reaching more underserved Los Angeles youth than ever! In February, our headquarter offices will move to South Los Angeles – near Santee Alley and the Fashion District – to the second floor of a light manufacturing warehouse formerly occupied by the Century Spring Corporation (222 E. 16th Street, Los Angeles 90015). Read our press release here! We were so touched by the turnout and opportunity to reconnect with our alumni at the official launch of the everybody dance! Alumni Program for ages 18 and older. 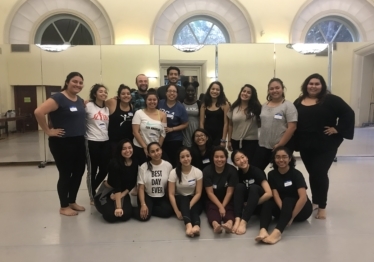 Through this program, we are connecting with alumni as they navigate their next steps, share memories about when they danced together, and plan events to stay in touch. GCS Student Stars in Disney’s Coco! The Gonzalez family stumbled on everybody dance! in its earliest years after mom Lilian Gonzalez overheard fellow school parents praising the program. 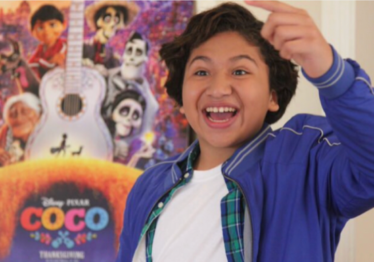 Today, Anthony Gonzalez, 13, has a blossoming film career thanks to the blockbuster success of the Disney Pixar film Coco – Anthony is the voice of Miguel, the film’s hero.